The beginning of the year is always filled with so much potential and promise. Just as I open the pages of my new planner, this new year opens the doors to new possibilities and new adventures. 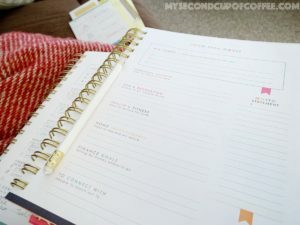 Empty pages are exciting and oh so inviting to write down your new ideas and plans, aren’t they? I say “ideas and plans” intentionally. I stink at resolutions, and so it never really appeals to me to make big promises. Honestly, I much rather prefer thinking about it in terms of having an “IDEA” and then coming up with a “PLAN” to execute it. Setting simple smaller goals and working toward them throughout the year sounds much more appealing to me. I guess I just really like simplicity but with a dose of realism, of course.